Rosanne Cash is on tour with She Remembers Everything, a poetic, lush and soulful collection of songs that reckon with a flawed and fragile world. She Remembers Everything follows Rosanne’s triple-Grammy winning 2014 album ‘The River & the Thread’ and marks a return to more personal songwriting after a trio of albums that explored her southern roots and family heritage. In the wake of the latest tsunami of survivor stories, Cash has embraced women’s narratives in this powerful material. “There is a woman’s real life, complex experiences and layered understanding in these songs,” Rosanne says. “I could not have written them 10 years ago—not even close. Time is shorter, I have more to say.” She Remembers Everything was produced by collaborator John Leventhal and Tucker Martine (The Decemberists, My Morning Jacket, Mavis Staples, Neko Case). 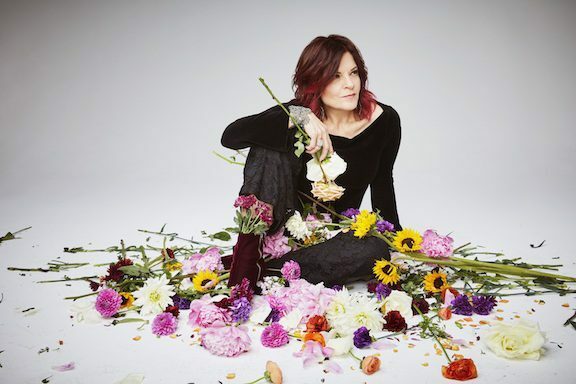 One of the country’s pre-eminent singer/ songwriters, Rosanne Cash has released 15 albums of extraordinary songs that have earned 4 Grammy Awards and 11 nominations, as well as 21 top 40 hits, including 11 No. 1 singles. Cash is also an author whose four books include the best-selling memoir Composed, which the Chicago Tribune called “one of the best accounts of an American life you’ll likely ever read.” Her essays have appeared in The New York Times, Rolling Stone, the Oxford- American, the Nation and many more print and online publications. A new book, Bird On A Blade, blending the images of acclaimed artist Dan Rizzie with strands of lyrics from a variety of Cash’s songs has just been published by UT Press. In addition to regular touring, Cash has partnered in programming collaborations with Carnegie Hall, Lincoln Center, San Francisco Jazz, Minnesota Orchestra and The Library of Congress.